Current state: Really lovely instrument kept in great condition. Plays beautifully and has an amazing lower register. I’m only selling because I would like to think it could be played more than I am able to by someone else who will love it like I have. 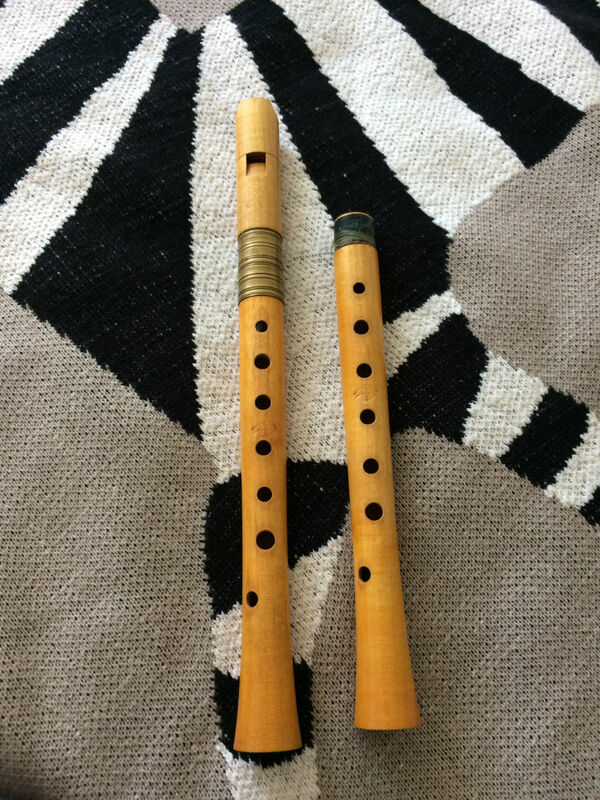 I wish to thank the owner of this instrument for choosing recordersforsale.com to post this ad, which is a way to support an initiative that is proving to be very helpful for a lot of people, besides my website investment & time spent with online publishing. Thank you! Thanks for reading. I’m a recorder player, improviser & educator. I’m also one of a small group of Early Music performers fully focused on improvisation. “Mr. Parrilla and company go all out.” —The New York Times. Read more · Follow me on twitter. Hi there. I’m Vicente Parrilla, a recorder player, improviser & educator. It’s nice to meet you. I’m one of a small group of Early Music performers fully focused on improvisation.“Mr. Parrilla and company go all out.” —The New York Times. Read more. @vicenteparrilla. Enter your email address to subscribe to this blog and receive notifications of new recorders by email. A series of CC-licensed, professional photographs of recorders freely available to everyone ¶ An original idea by Vicente Parrilla. ☞ If you appreciate recordersforsale.com and would like to support the project, you are welcome to donate via Paypal. Read more. recordersforsale.com by Vicente Parrilla is licensed under a Creative Commons Attribution 4.0 International License.